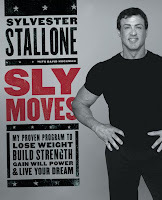 This is a great book for someone wanting to lose weight, a Rocky enthusiast, or just someone who wants to change up his or her workout routines. Rumours about his book appeared about 18 months before its release, when Stallone launched his supplement company Instone Nutrition. I know that I for one was waiting with anticipation. One of the greatest strengths of this book is that it recognizes that fitness for men and for women is different. It has recommended exercises for men and others for women. It also realizes that to make change, it will take real work and effort. Stallone states: “Locked inside each of us is the person we want to be. Others might not recognize it yet, but I'm telling you, it's in there. The passion shouldn't die before we do. Even against ridiculous odds, what propels you forward and separates you from the rest? P.R.I.D.E., which stands for perseverance, responsibility, integrity, determination, and excitement. If you have these five elements in your life, you can accomplish almost anything.” p. 201. With effort and time, results will be visible. Like Bill Phillips in his book Body For Life says: "It's Very Important to understand the difference between dreams and goals. Dreams are things we wish for--things you enjoy thinking about but don't really know when they'll happen. Goals, on the other hand, are specific things you have decided you need to accomplish within a clearly defined period of time." Stallone’s techniques will help you to make your dreams become goals and the goals to become reality. 6. Don't be afraid of embarrassment while pursuing your goal. It's all part of being committed. nature is a recipe for disaster. Most Important: If it's not broken, break it. That's how new discoveries are made. That's why everything that changes life is called a breakthrough.” p.186. This book will help you have breakthroughs in your life. Those breakthroughs will be through a process of progressive changes in your life and lifestyle. Robert Wolff, former editor of Muscle & Fitness, stated in his book: “The one thing you can be absolutely sure of in your life is change. It’s the only thing that never changes. The law of nature is that you either grow or you die; there’s no in-between. So, what have you chosen so far?” To many extents this book is a manual on how to make change. First in the area of physical fitness and then to apply the discipline learned there to other areas of your life. It is definitely worth the time and effort! We have found a number of books helpful during the pregnancy. I want to outline what I consider the strengths and weaknesses of the three that we have used most through this stage. Each of these books was beneficial for different reasons and hopefully these reviews will be helpful to you. Book two is just as good as Book I in this series. Also as I mentioned in my reviews of Book I there is also now available a combined book I & II as well as a newer Book III. Nance Starts off with his reason for writing this second volume “I feel such an urgency about each member of the Body of Christ finding his place and remaining faithful, so we can be productive in God’s Kingdom.” p.11. This is the main premise of this second book, that each Christian has a role and responsibility to serve the body based upon gifts and calling. Each of us as Christians, if we have been called also have a job to do, Nance States: “God has a purpose in life for you to fulfill. You are not here by accident. You have a destiny in God to fulfill. You must find out your purpose by seeking God.” p.21 Yet the journey to the God given goals and dreams in our lives will not be easy. Nance tell us that “If you do not exercise faith in life to reach a goal or vision, you will never achieve it. 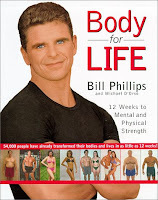 You are going to have to get up and work toward your goal.” p.27 Growing in the spiritual life is work and much like getting the body into shape, the spiritual life requires a workout plan, moderation of intake (books, TV, Movies…) and discipline. If we are faithful and diligent in the small things God may call us to greater things or reveal more gifts in us. “You also have talents in your life that will come forward as you trust God’s grace n the small things. We are what we are by His Grace. If you always obey His Original Instructions, you will see things begin to work.” p. 32 and “God wants to develop His character in you before He Exalts your ministry.” p. 33. God cares about who we are on the inside far far more than what we present to others on the outside. Our whole live in Christ comes down to Character and obedience. Without those two it is all for naught. Nance later States: “I believe God is challenging us to take steps of faith that we have never taken before. God wants to move us out of our comfort zones.” p.34 The Christian life will not often be the easy path or the past of least resistance, and much more so for those who try to serve Christ as a leader. To become a leader your must serve your leaders faithfully and with a pure heart. If we look at the parable of the sower, we as Christians are not all one type of seed. “God determined the type of seed you are and where you were to be planted.” p.19 Therefore like Nance stated in the subtitle of this book we should ‘Bloom Where You Are Planted’ We each have specific fruits we are to bring to the Body and serve the body by using our fruits well for the Glory of God! Books I & II have also been translated into 4 different languages all available at Amazon.com. 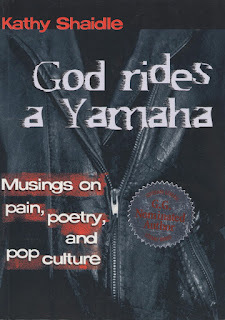 Terry Nance also has a great website http://www.godsarmorbearer.com/ that is worth checking out. For a Review Of Book I Click Here! I thought it was about time that I updated my original post about Opus Dei. It is funny the curves that life throw’s at you some time’s, even when your least expecting it. When I started my research into Opus Dei it was just an academic endeavor. Yes I had known a couple at Queen’s University in Kingston Ontario who were involved (10kids.com is their website). I had a great deal of respect for them, and their life of witness but I had no idea how enriching my studies could be to my spiritual life and what an adventure it would become. Back in February I went on a retreat at an Opus Dei retreat center Cedar Crest Retreats and I must say it was life changing. I did not know before going that it would be a ‘Silent Retreat’ but that was the best thing for me. Instead of spending all my spare time gabbing with the other men about our families, work, school, life, and such. I ended up taking the silence as time for study and reflection. There were 12 Meditations given by a priest, and each day we had mass, an examination of conscious, prayed the rosary and the stations of the cross. At Lunch and Dinner we did Lectio Divina (Spiritual Reading) we each took turns reading during the meal, a page or so and then the person next to us would tap us and we would pass them the book and show them where we were. We read Uncommon Faith by John F. Coverdale it is a biography of Josemaria Escriva and a history of the early years of Opus Dei. It is also the first English written book on these subjects as opposed to all the others that are European and in English are translation. Since the retreat I have read the complete works of Josemaria Escriva and even read The Way, Furrow and The Forge 3 times each. All I can say is these writings and the monthly Recollections here in Kitchener have done more to further my spiritual growth and to challenge me than almost anything else in the last 10 years. The only thing that comes close was when I did a Cursillo a number of years ago through the Presbyterian Church. "The seriousness with which Opus Dei takes the spiritual life is refreshing in this day and age. Their 3 fold sanctification: "Sanctify work. Sanctify oneself through work. Sanctify others through work. If we are to transform society there is a need for people who are holy." This can also be ‘Sanctification of Family. Sanctification of oneself through family. Sanctification of others through family.’ Then you can substitute friends … A few weeks ago Andrea and I were invited to visit with the Helmer’s Here in town, they have 11 kids and 9 of them are still in the family home. When we left was wife shared how amazed she was, these kids were great, they came and sat with us, talked, shared and drew pictures for my wife. We had a great evening. Andrea could not believe how well behaved and social these children were in this day in our society. That family exemplified the point above. Also since Andrea and I are expecting our first child I have been reading a lot of James B. Stenson who writes a lot on parenting and specifically on Fatherhood. I have been reviewing them as I finished them here are some links to those reviews. I will also expand this list as I post more reviews from these authors, and book by and about Opus Dei. Locally in Kitchener Waterloo The Men’s Evenings of Recollection are at St. Anne Church 268 East Avenue Kitchener, ON N2H 1Z4 they are organized by John Helmers cellohelmers@yahoo.com. Monday after the 2nd Sunday of each Month Except October 7:30pm-9:45pm. If you are not in KW email info@opusdei.ca and then you can be put into contact with someone closer to you. That is how I met John and made my first retreat. Changes are coming to all books near you soon. Have you ever wondered about those little numbers on the back of all books? These numbers started appearing on books in the UK in 1966. Which was later adopted as an international standard for identifying books in 1970. Therefore the International Standard Book Number, or ISBN (sometimes pronounced "is-ben) and as of Junrary 1st 2007 they will be changing from 10 digit codes to 13 digit codes. -The 0 identifies the country or region the book is being published in. -The 7735 is the publisher identifier within the country. -The 0719 is the edition of the publication. -The 978 identify this product as a book. The book industry has been gearing up for this for some years now. Yet like any major change there is some hesitation and concern for a smooth transition. For example Random House of Canada has had ISBN 10 & 13 numbers on all newly published books since January 2006, even though the go-live date is January 1st 2007. All older titles as they are reprinted will only have ISBN 13 numbers, and current stock will be stickered with new 13’s. Also some publishers will make the barcode number and the ISBN 13 number the same, Random House has done this to make for ease of scanning and inputting books into computer systems. That begs the question about what does this mean to student, will if affect them and should they care. It has had many implications on campus already, and will do so well into the near future. May Yan the Director or Retail Services was kind enough to answer some questions she believes that at the BookStore the transition will be fairly painless for students as they have done all that can be done to be prepared. She stated “We have volunteered to be ISBN 13 beta site testers. This will allow us to identify any potential issues before they get to our POS registers.” With being a test site they are working out all of the kinks and believe they will be prepared come January 1st. For the used bookstore run by FEDS it will be a different story John Jongerius (JJ), spoke with Imprint recently and share about the process on their end of the book business. JJ stated that they had just upgraded their purchasing and tracking software a year ago. And now with this change they will have to completely change their system again. Now for used books there is a little more leanway as far as timeline for implementing a new system. The software that they are purchasing will have many new features to benefit students. First JJ says “It will support electronic funds transfers, once it is set up and running, when you drop off your books you fill out a banking form and the money for the sale of your books will be automatically deposited into your bank account. “ This feature they hope to have in place in the near future. Also from the used end, the company that they sell used books to that UW has discontinued is giving them until June 2007 to have the changeover in place. JJ also stated that last year the Used Book Store did over $2 Million in textbooks. This new software will benefit 4th year students most, for they have the highest percentage of unclaimed monies owed each year. Yes this will make it harder to track down used an out of print books, especially if new editions or reprints end up with different ISBN’s. But over all it looks like the book stores here on campus are prepared and looking ahead to make life easier for students and staff. Just testing new server settings and such to make sure the feed is working. it has all those reviews with no covers or pictures just a text blog. Some books that failed the first time should stay OOP (Out Of Print), and this is definitely one of them. It should have stayed way on the shelves collecting dust. Back in 2003 Donald Miller published a book called Blue Like Jazz and that book went gangbusters - constantly selling out at bookstores and going through a few printings. It appeared, at the time, that every time you turned around someone was recommending the book. It was a collection of penses, thoughts, and meandering recollections of a man who grew up to doubt religion but could not give up on faith. It was marketed as ‘Nonreligious thoughts on Christian Spirituality’. It was so popular it was even turned into a one-man stage show in Toronto, (http://www.jasonhildebrand.com/trailer.htm) and has toured the country. Then some genius at the publishing company decided to resurrect his first book that had failed. That person is responsible for the unwarranted destruction of thousands and thousands of trees. Miller’s prose is weak, and his reflections are pedantic. He states: “We are one day out, and home seems an ocean away. My watch ticks inside my boot. I don’t need it. I’m not late for anything. There is no disgruntled friend waiting for me at a coffee shop or office.’ Are we are all suppose to be enthralled with the story of two guys traveling from Texas to Oregon? It was a chore to get through the book and I would not even recommend it for fans of Miller’s writings. Another example is “But because we were born as babies and had to be taught to speak and to pee in a toilet, we think all of this is normal. Well, it isn’t normal. Nothing is normal. It is all rather odd, isn’t it, our eyes in our heads, our hands with five fingers, the capacity to understand beauty, to feel love, to feel pain.” Ok so what do we do with Miller’s thoughts? In my opinion, not much! It was just pretentious to republish this book and milk the readers of Blue Like Jazz for money better spent elsewhere. This is a great little book! It will help all Christians to see their role to support their leaders. It is written by an associate pastor who discovered these truths about his role in regards to his head pastor. Yet anyone who serves in a church can learn from these short lessons. Weather you’re a small group leader, a eucharistic minister, worship leader - if you serve the body of Christ in any kind of role, this book will help you serve better. Through serving the leaders in the church we are fulfilling part of our vocational call and helping to build up the whole body of Christ. Nance has some great insights that he shares with us: “We can see that the most important part of the Armorbearing is a ministry of prayer, watchfulness, and intercession. The Armorbearer is to prove his sincerity, loyalty, and courage in the spirit realm through prayer and intercession.” p.52 and he emphatically states: “Every child of God, from leaders on down, needs to develop the character of an armorbearer. I believe that, right now in the Body of Christ, we need teaching on the development of the character of Christ. We have learned a lot about faith, prosperity and intercession, but I feel we have got to place more emphasis on character development.” p.61 Nothing could be closer to the truth. Much of Josemaria Escriva’s writings on the Christian life have that same emphasis. His books, The Way, Furrow and The Forge, each have sections dedicated to character. The role of the Armorbearer is also for the whole body, “We are God’s armorbearers. We are to carry the shield for one another, joining our faith together. If we will do that, we will truly become God’s Great Army. We will go forth to conquer in the power of the Holy Spirit.” p.63 But being an armorbearer also takes perseverance, and fortitude. We are told: “Discover what your course is, and then stay with it and never give up until you have reached your God-ordained destination and goal.” p.74. Finally I would like to leave you with two more quotes from the book. First: “It is time for us to re-evaluate our lives, and our ministries, to make sure that we are where we need to be and doing what we need to be doing.” p.79 And second: “The spirit of the armorbearer is the Spirit of Christ. This is the day we see that God’s children should take up the shields of others and be willing to carry them forth into battle.” p.79. This book will definitely challenge your faith and how you live it out. For a Review of Book II Click Here! This little booklet is packed full of useful information. It is a treasure trove of gems for all fathers to become better at parenting, to learn the importance of their role in the home and in the formation of their children’s lives. Stenson, a successful educator and speaker around the world on this topic, gives readers of this volume a number of guides, suggestions and hints on how to be the type of parent and, specifically, the Father you want to be. Stenson is the author of 9 books on parenting and two of them specifically address the roles and responsibilities of fathers. Stenson also has a website http://www.parentleadership.com/ that has a number of articles you can download to supplement his book and your quest to be the father you really want to be. Stenson states in the introduction: “Though dozens of books devoted themselves to the mother-child relationship in children’s upbringing, hardly any emphasized the role of the father.” p.5 Then: “Increasingly, therefore, specialists have been studying the subtle but powerful ways by which fathers form their children’s character, often unwittingly.” p. 6 Stenson gives sound advice and will help you to grow to become the man you want to be for your children. The greatest challenge a man can face, by far, is that of raising his children well. Without exaggeration, it can be said that his success or failure at this constitutes his success or failure in life. In my experience, many fathers today are unaware that there is a problem – that, without intending it at all, they are failing to exercise the moral leadership that their families need. Whether we call them virtues or simply strengths of character, they comprise the essence of what we admire most in people – strong character. In homes where each parent respects the other’s authority, the children grow to respect the authority of each parent proportionally. Both parents, mother and father, have given their children lifelong strengths of character and conscience, and thus their job is done. This is, after all, what family life – throughout history and around the world – really is about. Everyone in the family understood that the children’s cooperation – that is, their obedience to their parent’s direction – was essential, demanded, and expected. Parents did not think overmuch about the children’s eventual careers. Rather, they thought in terms of their children’s future character. The home was a place of social and intellectual activity; people talked, read, played, worked, and prayed together. Limited financial resources meant that family members budgeted carefully, waited, earned, improvised, or learned to do without. Consequently, successful fathers are not afraid of being unpopular. Their love for their children and their commitment to the children’s long-term best interests – these are strong enough to override the kids’ bruised feelings and their occasional reluctance to do the right. These nine quotes give you a sampling. Pick up the book you will become a better father, even if you are already a good father there will be new things you can learn. From the back of the book we are told: “We often hear and read about the Christian Way of Life. For some people this is a vague and intangible expression. In reality, it means precisely a life of common interest with God, a life in which this love of God dominates all our thoughts, words and actions. The Greater the love, the more Christian the life. Kilian, who has taught theology and philosophy, and is a voting member of the Second Vatican Council, and a Carmelite priest, brings his vast experience to bear on this topic of conversing with God. Much like Brother Lawrence’s The Practice of the Presence of God, it will help one learn how to experience God in all the details of life. Servants or Friends of God? Then it has a collection of Aspiration prayers that have been used down through the ages. This book is about going deeper than the Jesus Prayer. It is about deep intimacy and communion with God. It is a guide in how to grow in your friendship with God. At less than 90 pages, it is a treasure that will lead you to a deeper life with God. David is a five-time Canadian rowing champion and the president, founder and CEO of GoodLife Fitness Clubs, the largest and fastest- growing Canadian chain. With nearly 125 locations nationwide, he has created an empire. Patchell-Evans was drawn into this industry by accident, his first year at the University of Western Ontario. A few weeks after starting university, he was in a motorcycle accident. He ended up doing physiotherapy and rehab. During his time at UWO, he switched his focus of studies from business to Physical Education. In his early thirties, David had a setback to his physical health. He had severe rheumatoid arthritis. His struggles with this illness helped him appreciate health and a healthy lifestyle even more so. This book is composed of 4 key sections, or parts. They are: Patchell-Evans’ personal story, the basics of fitness, balanced health, and the balance between body, mind and spirit. Robert Wolff in his book Bodybuilding 101 “There is nothing so constant as change. Meet it. Embrace it. Enjoy it. Learn from it. The one thing you can be absolutely sure of in your life is change. It’s the only thing that never changes. The law of nature is that you either grow or you die; there’s no in-between. So, what have you chosen so far? Are you growing in every area of your life? Hey, it’s not enough to be growing and looking great just because you work out. That’s only a small part of your life. What about your emotions, spiritual life, family, friends, career, hobbies? Are they growing as your body does? Become a complete person and not an in-shape and great-looking version of an incomplete person. There’s way more to life than just working out. Go with the flow and embrace changes in all areas of your life. The change will do you good.” This book encapsulates that spirit completely. This book also includes personal stories - a few for each chapter on people’s experience with these areas in their personal journey to a healthier life. Patchell-Evans has built a career and a company based upon the goals, integrity and commitment outlined in this book. It is well worth the read. This book and program are both great. I used it back a few years ago and went from a 42-inch waist to 34 in 13 weeks; from 29% body fat to 13%. It is not easy and requires much discipline. But this book gives you the tools you need to make it happen. It also requires a lifestyle change for you. If you drift off from the program, it is easy to slide backwards from the progress you have made. This book will help you change your mindset. You will examine patterns, give yourself rewards, and see the changes take place. Phillips states: "It's Very Important to understand the difference between dreams and goals. Dreams are things we wish for--things you enjoy thinking about but don't really know when they'll happen. Goals, on the other hand, are specific things you have decided you need to accomplish within a clearly defined period of time." p.27 This book will help you make that leap from dreams to goals and from goals to results. One of the greatest strengths of the book is the section that outlines the exercises for each body part. Not only do they include pictures of the different exercises and movements, they also have a tip box of the most common errors, and how to avoid them. The book is also peppered with testimonies of people who have done the program with their before and after pictures. This book will help you change the patterns in your life. “Remember that everything you do in the real world is merely an external manifestation of what has already happened in your mind.” p. 29 This book has a balanced approach- you balance exercise with nutrition, you balance carbs with protein in each meal, and you balance cardio with strength training. Page 83 has an Eating-for-Life Authorized food guide. It lists the Proteins, Carbohydrates and Vegetables that are recommended and lists them in the order if quality for this program.